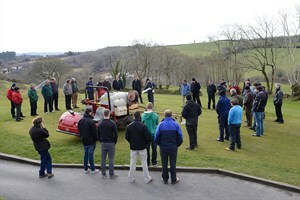 Greenkeepers, sprayer operators and students in the south west of England had the chance to see the new Syngenta XC Nozzles in action and pick up some of the latest tips and information on spray application technology at the BIGGA Devon & Cornwall Spring Seminar, held at St Mellion Golf Club, Saltash in March. 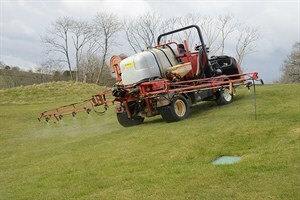 Dr Simon Watson detailed how the new XC Nozzle Technology has been engineered to deliver more consistent coverage across the spray boom when spraying slopes on golf courses, to counter the risk of drift to enable more spraying opportunities (above, right: flat fans on left of boom show significantly more drift than XC Nozzles fitted in the right boom section) and incorporating exclusive design features to enhance all-round coverage of the turf leaf, to get the best possible results from every application. 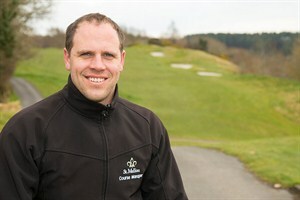 Further tips provided in Dr Watson's presentation and practical demonstration included sprayer calibration and nozzle height setting - along with advice on calculating the area of greens and fine-tuning sprayer filling to achieve more precise and accurate application across the course. 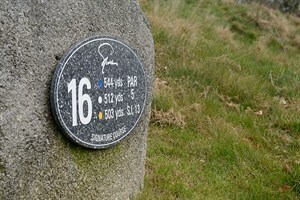 All the techniques and advice offered by Dr Watson is available from the GreenCast website Application Zone. 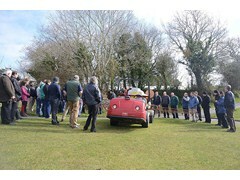 Dr Watson added his thanks to Course Manager and Master Greenkeeper, Mike Bush (above, left), and the St Mellion greenkeeping team for hosting the event and assisting with the sprayer demonstration.